Today we will learn about difference between crankshaft and camshaft. We all have heard these two words many times but most of us get confused to differentiate them. These are two basic parts of an internal combustion engine without which no one can think about reciprocating IC engine. An IC engine is combination of various shafts and gears working together to generate power. These two shafts are basic parts of any IC Engine. Crankshaft is a shaft which is used to convert reciprocating motion of piston into rotary motion which can be transferred to wheels. During the power stroke, piston moves to and fro inside the engine cylinder. This piston is attached with crankshaft with the help of connecting rod. 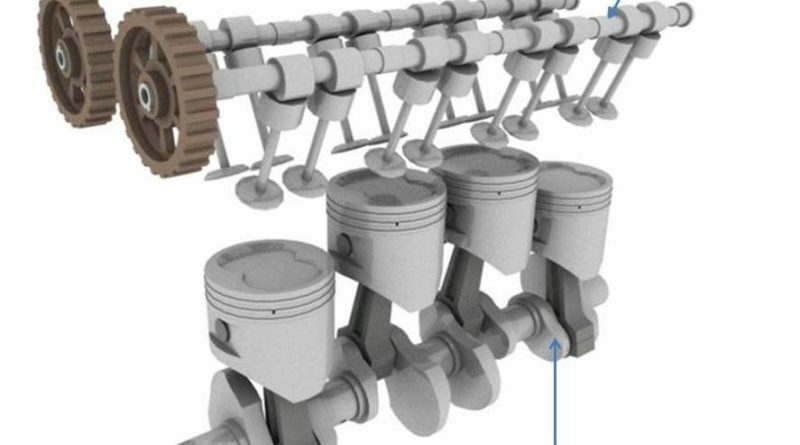 When the piston moves downward, it rotate the crank half and other haft movement of crankshaft occurs during piston moves upward. 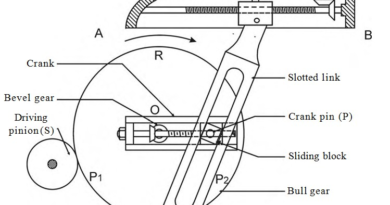 This will convert reciprocating motion of piston into rotary motion. In a four stroke engine crankshaft makes two revolution during one power stroke. 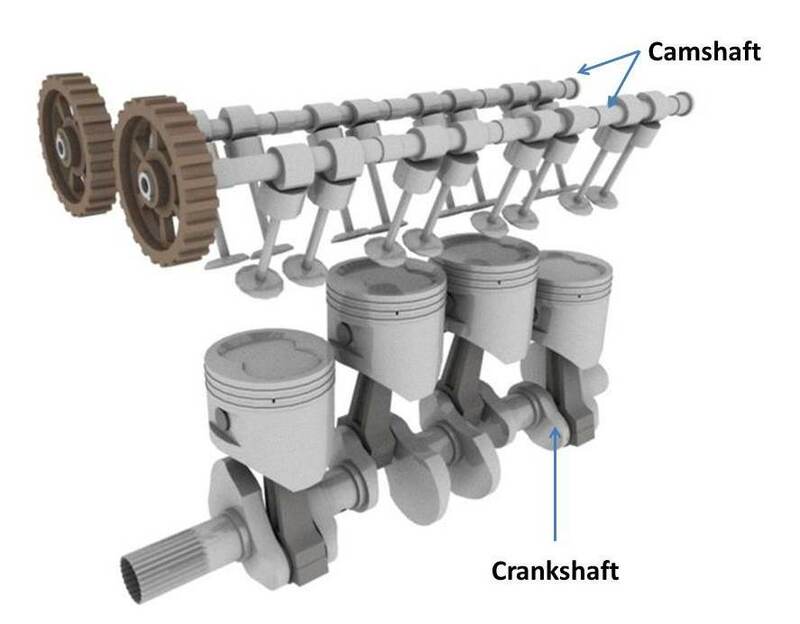 Camshaft contains two or more unit of cam which allow to engine breath during suction and discharge. When the piston is at top dead center, the inlet valve should open which allow to pour air or air fuel mixture inside the cylinder. When the piston is filled with burnt charge, the exhaust valve should open which allow escaping the exhaust charge in atmosphere. These valves opening at correct timing is taken care by camshaft. This shaft is generally made by cast iron or steel and situated upper side of the cylinder. This shaft is sometimes situated at bottom of the cylinder and the motion of this shaft is transferred to valves by rocker arm mechanism. The basic difference between these two shafts can be summarized as below. 1. Generally made by alloy steel by forging It is made by cast iron or steel by casting. 2. This shaft is situated below the cylinder It is generally situated above the cylinder. 3. Crankshaft is used to convert reciprocating motion of piston into rotary motion Camshaft is used to open and close the inlet and outlet valve at correct timing. 4. This shaft is rotate by the piston. Camshaft is rotate by the timing belt attached with the crankshaft. This is all about camshaft and crankshaft. If you want to add some more difference, put it in comment box. If you like this article, don’t forget to share it on social networks. Subscribe our website for more informative articles. Thanks for reading it.